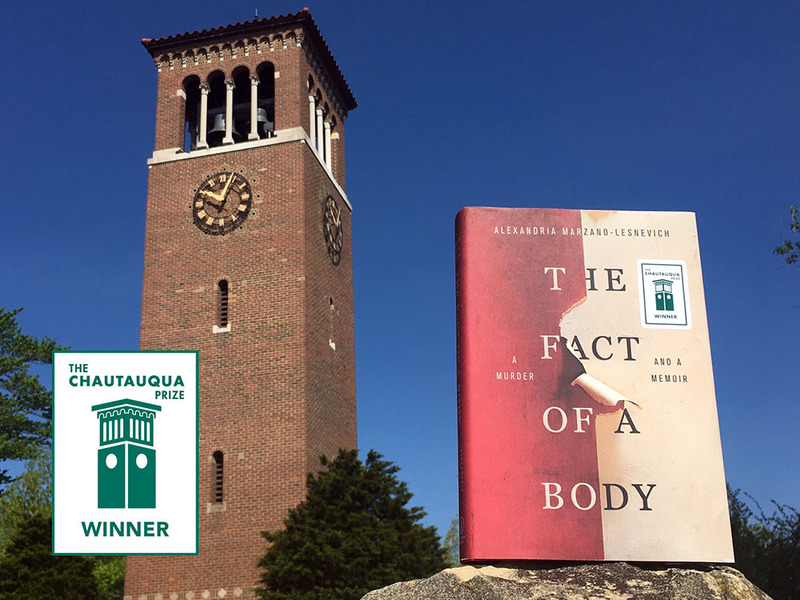 Chautauqua Institution is delighted to announce The Fact of a Body: A Murder and a Memoir (Flatiron Books), by Alexandria Marzano-Lesnevich, as the 2018 winner of The Chautauqua Prize. As author of the winning book, Marzano-Lesnevich receives $7,500 and all travel and expenses for a summer residency at Chautauqua from Aug. 1 to 6, 2018. A public reading will take place at 3:30 p.m. Friday, Aug. 3, in the Hall of Philosophy on the Institution’s grounds. “I very much look forward to attending the Institution this summer, and to all the rich conversations that will unfold there,” Marzano-Lesnevich said. Chautauqua Institution President Michael E. Hill said Marzano-Lesnevich’s book contributes to Chautauqua’s work as a conversation leader — especially when those conversations are uncomfortable but instructive. 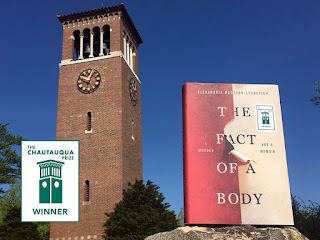 The Fact of a Body was named one of the best books of the year by Entertainment Weekly, Audible.com, Bustle, Book Riot, The Times of London, and The Guardian. An Indie Next Pick and a Junior Library Guild selection, it was long-listed for the Gordon Burn Prize and a finalist for a New England Book Award, a Goodreads Choice Award, and a Lambda Literary Award. It has been published in the United States, the U.K., and the Netherlands; translations are forthcoming in Turkey, Korea, Taiwan, Spain, Greece, Brazil, and France. A 2014 National Endowment for the Arts fellow, Marzano-Lesnevich has received a Rona Jaffe Award and has twice been a fellow at both MacDowell and Yaddo. Her essays appear in The New York Times, Oxford American, and the anthologies True Crime and Waveform: Twenty-first Century Essays by Women, as well as many other publications. She received her J.D. from Harvard, her Master of Fine Arts at Emerson College, and her Bachelor of Arts from Columbia University. She now lives in Boston, where she teaches at Grub Street and in the graduate public policy program at Harvard’s Kennedy School of Government. This fall, she will join the English department at Bowdoin College as an assistant professor teaching creative non-fiction. The Chautauqua Prize, this year awarded for the seventh time, is an annual prize that celebrates a book of fiction or literary/narrative nonfiction that provides a richly rewarding reading experience and honors the author for a significant contribution to the literary arts. Previous winners include The Sojourn, by Andrew Krivák (2012); Short Nights of the Shadow Catcher, by Timothy Egan (2013); My Foreign Cities, by Elizabeth Scarboro (2014); Redeployment, by Phil Klay (2015); Off the Radar, by Cyrus Copeland (2016); and The Fortunes, by Peter Ho Davies (2017). Details on The Chautauqua Prize are available online at chq.org/prize. Books published in 2018 will be accepted as submissions for the 2019 Prize beginning in September 2018.